Right now I’m listening to a band called System of a Down. They’re a very loud, chaotic and overall disorienting band, especially if you’ve never heard them or anything like them before. A friend of mine described them as something akin to “avant nu metal” but generally it’s difficult to label SOAD as any one genre. While doing research for this topic I was constantly distracted (and will likely be distracted while typing this article) by this music. It’s got a lot of sudden pauses, frenetic guitar work, heavy riffs, off-putting (to some) vocals and so forth. So why would I listen to it? Well, partially that’s because, paradoxical as it may seem, music helps me focus. For some reason, I tend to feel much more secure in my writing when I have some background noise going on. Writing is for me a very fun and involved process but I feel more complete in that process when I have something going on in the background too. I’m not sure why that is exactly and perhaps I’d be better off if I tried to enjoy silence more often. 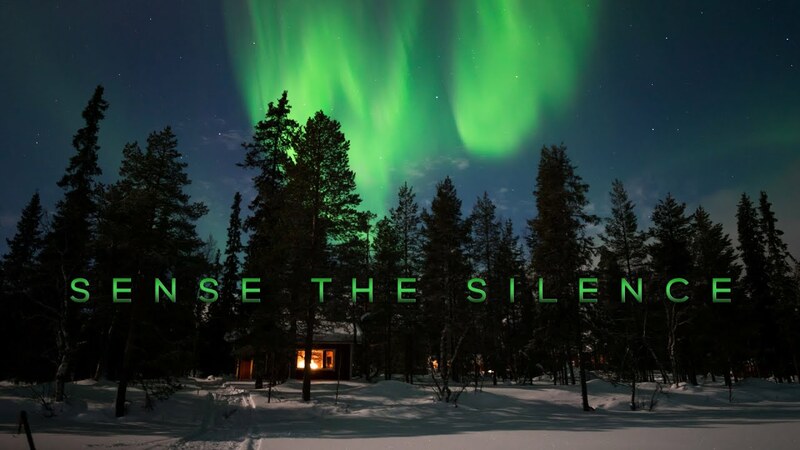 After all, silence relates a lot to techniques that are widely hailed for being positive towards our mental health such as meditation. For me however, silence is a very hard thing to feel comfortable with. Whether that’s within the context of a conversation between me and someone else or the silence that’s going on around me. I even bring my music wherever I go so I always have something going on in the background of my life. I guess part of it might be this illusion of control and feeling like I have some control in my surroundings. Without my music I feel almost naked, I’m suddenly susceptible to whatever outside sounds are going to come my way, like it or not. And I don’t. I don’t like it because I like to have control over what I process in this world and what I don’t, or at least as much as possible. And I’m not saying this to mean I want to control other people or things to accommodate my desires. Instead, I just put in my earbuds and groove to whatever I’m listening to (it’s Opeth right now, for those curious). As you know, here at Abolish Work, we’re all against unnecessary stress (though not stress per se’ˆ) and one of the most common perpetrators of unnecessary stress through noise is work. I was recently watching this show called Sense8 on Netflix and one of the characters lives near a train track so he has to have the train roll by every night. I have a few friends who live around Boston and they also live near the train tracks. They’re bedroom isn’t right next to it (at least I don’t think so) and they might have a better time of it than the character in Sense8 did. On the other hand, he might not be too far off, I’ve slept beside the window from the train tracks or nearest to it and you do get used to it. Now, whether that’s a good thing or not, I’m not qualified to say and perhaps listening to trains is one of the lesser chaotic noises when they’re so regularly scheduled. Still, I think it says something about the state of the economy where people often feel forced into living near these chaotic noises just so they can have a place to live. We can see this sort of scenario in fiction as much as we can see it in real life. And a lot of that has to do with how concentrated and interconnected cities like Boston can be. Not that I have anything against cities in particular (that’s another discussion in any case) but there’s something to be said about having better urban planning that doesn’t give your residents pounding headaches or unnecessary stress on top of their pre-existing stress due to having a job they probably don’t like. Again, think about this in relation to work. How often do we spend time stuck in traffic because of commuting to work? I don’t have to worry about this as much because I don’t have a car but sometimes I need to take an Uber or a friend needs to help me out or I take a bus, etc. So it might be fair to say that I get some sort of taste of what this frustration is like, but not enough for a heart attack. As usual, work kills us and it kills us by filling our lives so full of stress that we either live much shorter lives than we might otherwise or in more extreme cases, we might even die, in no small part because of what we do just so we can have a job. But okay, what about the positives? As it turned out, even though all the sounds had short-term neurological effects, not one of them had a lasting impact. Yet to her great surprise, Kirste found that two hours of silence per day prompted cell development in the hippocampus, the brain region related to the formation of memory, involving the senses. To understand this next part you should probably first know that I am a very affectionate person. I like telling friends that I love them, giving hugs and cuddling is something I value much as a part of my life. In fact, I’m well known within my circles of friends for my love of cuddling over most things in life. So sometimes, I think about people I romantically love and I just think about cuddling them. I think about that for maybe a half-hour or an hour. Sometimes I do that in silence and other times I do it with musical accompaniment (usually relaxing music though). The whole time I feel very relaxed and happy and completely immersed in what I’m thinking about. I especially do it in silence during the first few hours of when I wake up. It takes me a bit to process and wake up (I’m autistic) so I use that time to lay in (mostly) silence while I catch up with the internet and periodically think about folks I care about. And I don’t mind saying that it’s some of the best moments in any given day. It’s such a peaceful and wonderful thing for me to do to myself. On the other hand it can be a bit dehabilitating in terms of just how happy it makes me, so that makes me try to be cautious about how much I apply this in a given day and to what extent. Regardless, this is one way in my life I’ve tried to embrace silence and it’s overall definitely been a positive experience for me. I’d recommend more silence for all of our lives…which I say while System of a Down continues to blast on this computer. What can I say? I’m complicated. If you enjoyed this article, please consider donating to my Patreon! Even $5 a month can really help me out, especially these days. There are 42 days left until Donald Trump becomes president, resist fascism.